Bratislava, September 22 (TASR) – The investigation into the lethal explosion at the Military Maintenance Company (VOP) in Novaky (Trencin region) ten years ago was conducted under no authority for more than two years, and the ministries in charge were reluctant to step up to the plate, former head of the mining safety department and the Central Mining Office (HBU) Vladimir Tejbus has told TASR. 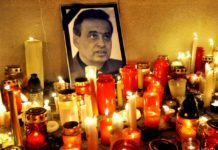 As a corollary, Slovakia is the only country in the European Union to have two laws on explosives, said Tejbus, who attended talks on investigating the case on HBU’s behalf. Eight people were killed and another 37 were injured when a large amount of ammunition at VOP’s defusing hall exploded on March 2, 2007. A court ruling in the case is yet to be made. „Having received a mandate from HBU head Peter Kukelcik, I attended a meeting of the economy, defence and labour ministries in October 2009, where a decision was supposed to be made according to which the authority would look into the issue. The defence and economy ministries kept their hands off it, even though military facilities and mining offices were under their purview. It almost appeared as though nobody was going to investigate the tragedy. Having seen that everybody else had sought to steer clear, [then labour] minister Viera Tomanova stepped in and decided that Labour Inspectorate officials would investigate the case. It seemed back then that she was more of a ‚man‘ than any of the men in attendance,“ said Tejbus. The investigation produced a decision to draft a separate law on explosives and ammunition. „The drafting of the bill, which took place in conjunction with the Armed Forces, the Police Corps and other authorities, took years, but the mining sector had no need for it. As a consequence, we’re a rarity in the EU, perhaps in the entire world, in that we have two laws containing the word ‚explosives‘ in their names. All sections dealing with explosives were dropped from the first of them, Act no. 51/1988 Coll., and, consequently, explosives are no longer covered by it,“ said Tejbus. 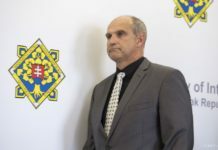 The District Court in Prievidza (Trencin region), which has been handling the case since March 2012, has deferred without a date for resumption a trial featuring those deemed responsible for the accident. This was after a court-appointed expert in firearms and ammunition was summoned in June to provide his opinion on the case. At the trial sessions so far, the court has heard the defendants, witnesses, court-appointed experts and dealt with evidence in the case. In the meantime, the court has halted the prosecution against Eduard B., who has died, TASR learnt from spokesman for Trencin region courts Roman Tarabus. 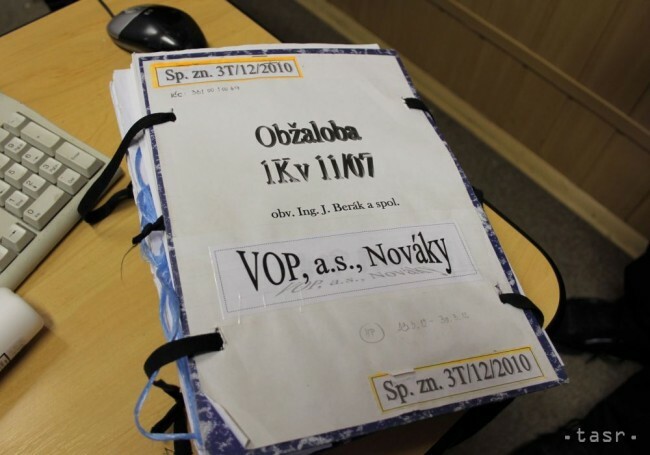 The former general director, chief technology officer, production manager and safety officer at VOP Novaky continue to stand trial. According to the indictment, the executives committed culpable negligence in the manual disposal of explosives. The volume of ammunition stored at VOP’s production facilities and in their vicinity far exceeded the amounts permitted in Economy Ministry regulations.